Actually, The Billionaire’s Con found its beginnings in another story. Several years ago, I sat down to write an epic tale of three sisters from a small New England town who discover their beloved father has been having an affair for years. Though the subject was brutal, I was mesmerized by the idea of discovering how the girls handled having their lives ripped apart. I write romance, so of course the story would include the sisters finding the loves of their lives while they overcome the trauma of their father’s infidelity. To my surprise, it also included Meggy Calhoun. Funny and strong, this close friend of the girls demanded her own story. Seriously, she wouldn’t leave me alone. When I, we, discovered she was adopted, she continued to pester me to tell her why. My epic story quickly morphed into a series, beginning with the biggest loud mouth. That’s Meggy. The second in the series, Cara O’Shea’s Return, is Cara’s story, the middle sister and is set to release early in 2014. Not purposefully. Sure, I incorporate pieces of people I see into my characters, but for the most part, they are figments of my imagination. However, like most authors, pieces of people I know or see can’t help but slip into my imagination. For example, my best friend from high school worms her way into most of my heroines in some form. Which I consider a good thing. My friend is funny, and goofy, strong, and determined to live her life her own way. Those are all traits that make the best heroines in my mind. God, that’s such a hard question, and the answer changes daily. I love them all, well, except the villains. And in a weird way, I love them too. I mean, when you read a book, isn’t the whole point of the exercise and the joy of the process, connecting with the characters? That’s why I write. There is nothing more thrilling than connecting with characters of your own making. So, each time a new character takes shape in my mind, they also worm their way into my heart. I fall in love, knowing I’ll do it all over again with the next story. Oh, I’m totally in the moment. How else would I go from an epic novel detailing to trauma of infidelity to a series of fabulously fun romances of the heart? With four books due to release in the next few months, I don’t have the time I’d like to read, but I’m a romance junkie. I just can’t help myself. I’m currently reading several titles, one chapter at a time, before I dip back into my own work. Her Knight in Black Leather by J.M. Stewart is patiently awaiting my return, as is A Highlander in Her Past by Maeve Greyson, On the Fly by Katie Kenyhercz and The Book Waitress Series by Deena Remiel. You're a serial reader for sure, Mac! Oh, wow. Do they have to be alive? Because I’m an American history junkie too. I grew up in Boston and having walked the historic cobblestones of New England, the lead up to the revolutionary war intrigues the hell out of me. I’d love to be a fly on the wall, witnessing the revolutionaries putting their lives and fortunes on the line for the chance at true freedom. According to my grandmother, I am a direct descendant of John and John Quincy Adams. I wouldn’t want to be either of them – I’m too much of a weenie to face the tribulations of a rebel fighting for freedom – but I’d love to spend the day with either of them. Damn girl, you do know how to ask the difficult questions, don’t you? It’s my fervent hope never to be on death row, but if I was, and I was forced to order a last meal, I’d have to order several things. A lobster. A Maine lobster, with lots of hot, melted butter. A juicy steak, smothered in onions with a steaming baked potato on the side. And last but not least, a roast beef sandwich from Land-N-Sea, a little mom and pop shop in Peabody Massachusetts. Don’t skimp on the mayo and BBQ sauce please. …drama. As the mother of two boys, I escaped much of the drama my sisters and girlfriends who had girls suffered. My father always referred to me as his tough daughter, but I never understood the draw of arguing over silly issues forgotten the next day. And hey, life is short. Drama is a waste of time. I have several favorite scenes but I’ve chosen to share a paragraph that highlights Meggy’s sarcastic sense of humor. Early in the story, Cara returns from her honeymoon with a gift for Meggy. A huge sombrero. I just love the banter between these two BFF's. Chef Meggy Calhoun realizes her long-held dream with the opening of Boston’s hottest new culinary experience. Crazy-busy with her new restaurant, she can’t deny a fascination for her hunky new tenant. But will her secret connection to one of New England’s most powerful families poison her recipe for success, and leave her heart flambéed? This is the lovely Mackenzie Crowne. Isn't she gorgeous? 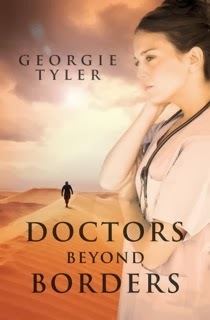 She is vivacious and witty and those personality traits really come through in her books. She can have me snorting out a giggle or wiping a tear from the corner of my eye in a flash through her jocular dialogue and engaging prose. 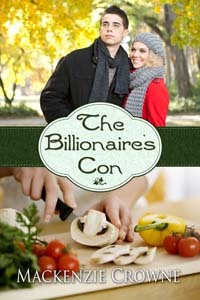 The Billionaire's Con is a great story with a feisty heroine and a hunky, in a Greek god kinda way, hero.